October – Time to turn up the heat! With fall finally in full swing, we wanted to take a moment to keep you informed on what’s changed or what’s coming down the pipeline. 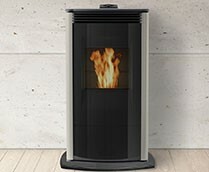 The Heat & Glo Cosmo & Heatilator Rave gas fireplaces bring together modern design, highlighted by clean lines and elegant ambiance. Now, key NEW features have been added to enhance the firescape. These product enhancements are significant and it will be required to replace existing displays. Due to the new and improved viewing area, current fronts will not work on the new units and no upgrade kit will be available. If you have any existing units in inventory without fronts, please place your front orders to match your unit inventory. 42″ models now require a 12″ vertical before attaching any elbow. This will require an additional 2″ of height to the chase when compared to the current model; 32″ venting specifications remain unchanged. Reduced framing dimensions for easier installation. New units will begin to ship as early as December, only once stock of current units has sold through. Our Order Entry Team will adjust orders as needed and communicate with you to assure a seamless transition during this rolling change. New product training will be available. Watch upcoming newsletters for additional information and updates. Allure50 Brushed Stainless Steel in stock now! The Allure50 brushed stainless steel panel and column accessory kit is ready to ship today! Update your Allure50 display unit with this new sleek look – part number 1-00-888135-6.